Nami Kim and her SaveKoreanDogs.org organization shared the below story on their Facebook. Soon-To-Be- Dog Meat Free City. We needed a strategy meeting before we went out to the remaining dog meat restaurants. We have Food Safety division joined the forces. We have 16 more (dog meat restaurants) to go to change the signs and menu. The city is sending out letters to all the dog meat restaurants to notify the city’s plan to be dog meat free zone. This comes from mayor Kim direct as he is so determined but resistance is there. New Menu to Replace Dog Meat. 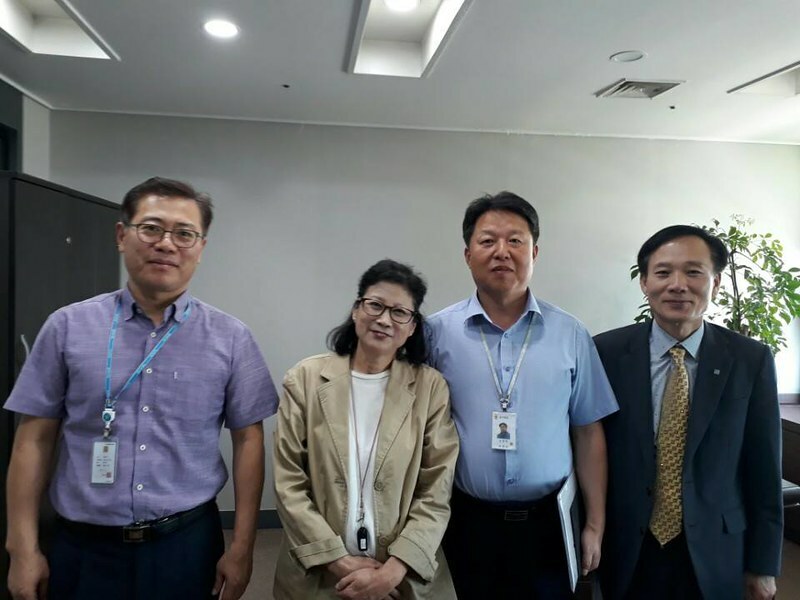 My meeting last week with the food safety department included developing a new menu for the owners of dog meat restaurants in the city. They all have another menu for those not ordering Boshintang when most income comes from dog meat soup. A young couple selling dog meat soup may need a new menu. Click HERE to follow Nami and SaveKoreanDogs.org’s work on Facebook. 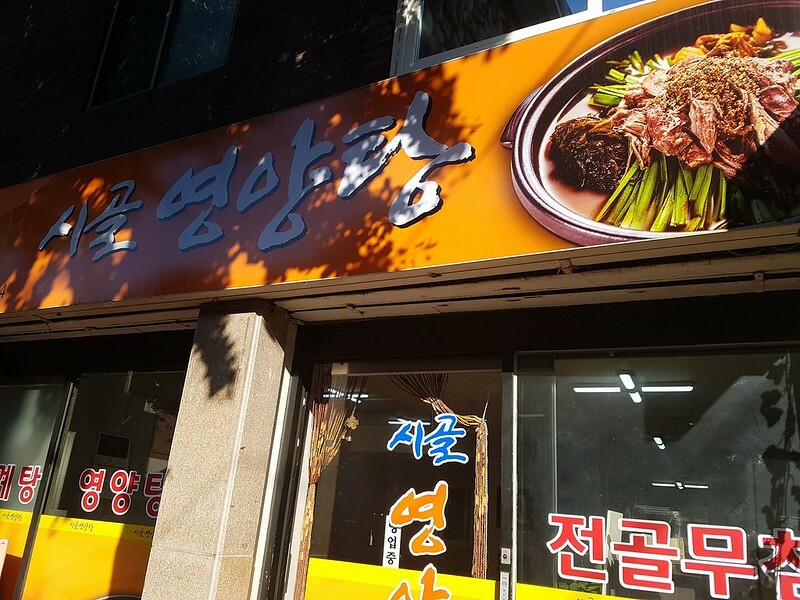 Below are photos of two of many dog meat restaurants operating in Bucheon currently. 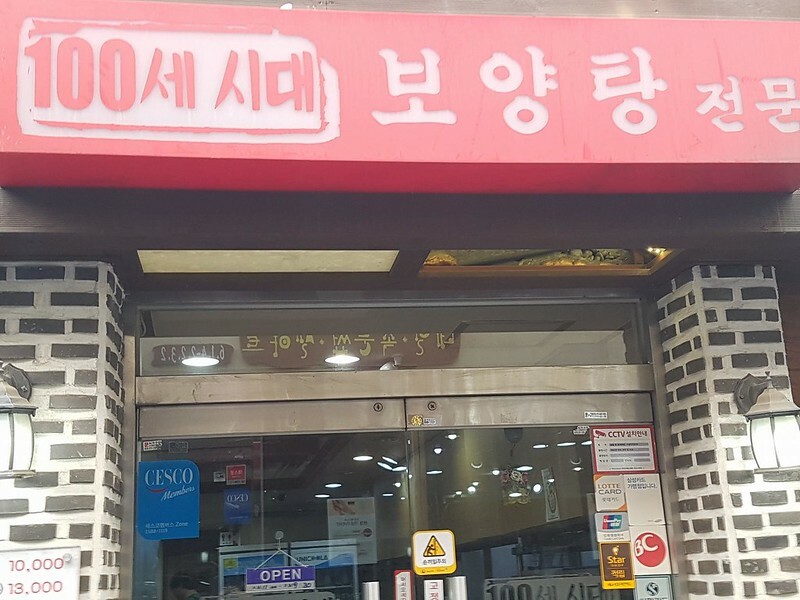 From Nami: 6th Dog Meat Restaurant Famous for Dog Meat Stew. The restaurant is small in size but claims the most fresh dog meat they cook. The owner had a special room upstairs for group reservations. Just learnt that they don’t even have a restaurant license. With the city official with me I know what to do right away. From Nami: Longevity Dog Meat Restaurant. 4th dog meat restaurant we were putting pressure on is this ‘Longivity’ literally it means you can live up to 100 years if you eat Boshintang, the dog meat soup. I am shocked by the owner was a very young couple. He also sells chicken soup but 80% his income comes from dog meat with patronage, weekly regular customers. An old couple was enjoying dog meat soup and the meat slices. City officials informed the owners before our visit and make appointment avoiding their business hours. I walked inside the kitchen and vomitted again with the pungent smell of the meat. Next was the 5th we were targeting. Please sign petition: All thanks to Mayor Kim! 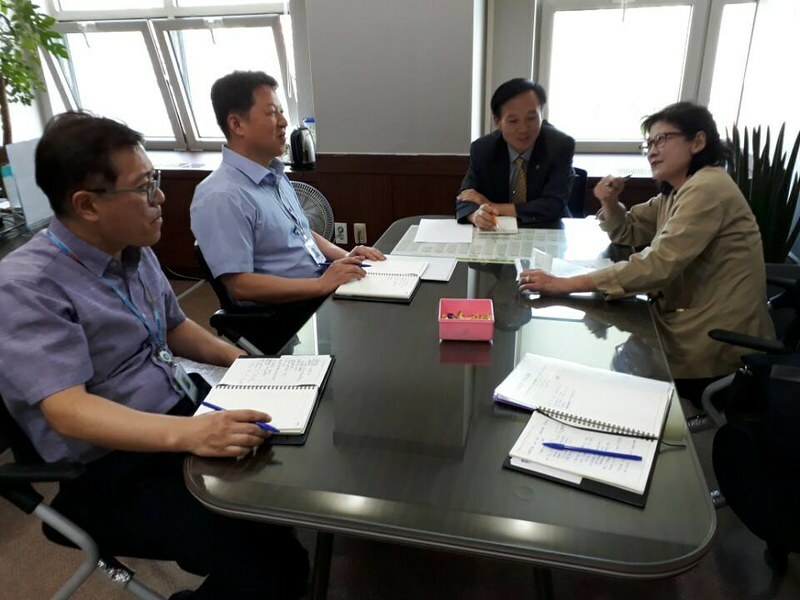 Bucheon City working towards becoming “First Dog Meat Free City”. Please make Bucheon the “First Dog Meat Free City in South Korea”. Well, if they ran off ideas of what to cook – we are the whole world. We cfn provide them with recipes from all the nations! Giny, can we somehow collect our best recipes and give access to the recipe base to those who are ready to go dog-meat free? And, dog meat restaurants owners, if you read this – wnat some best recipes from Russian and Jewish table and be unique? I’ll send you, just reply here under my post! And, for sure, if I ever visit Korea, Bucheon will be the first place I’ll go. And I hope to eat something vegan there. As a dog owner/lover the thought of eating dog meat repulsed me. I don’t eat red meat at all it’s chewing and swallowing flesh!!!!!! There are plenty of alternatives wish people would think twice. Dogs are very loyal loving animals yes there are dogs who roam streets and can be a nuisance but local governments should come up with a plan to deal with these situations. Hope at last. Thanks to all of you. Thank You, all good people who work for the welfare of our beloved cats and dogs! thanks Kim and the Mayor of Bucheon, Man-Soo Kim! i m just seeing those eyes of the dogs if they could hear this news. My sincere thanks to the Mayor of Bucheon and the awesome Nami Kim. Mr Mayor you are a very forward thinking gentleman and I know how difficult it is to break from some traditions but that is how we move forward towards a better humanity. You have made so many people around the world very happy and I wish you every success. Oh we are all so very happy to see such good changes, thank you from the other side of the world. Its a start!! Lots more work to do but its a start!!! Too much dog blood being shed we must end it all!!!! After having this horrible barbaric practices of torture, abuse & slaughter brought to our attention – We will no longer support this company or any other companies that do business with Korea as long as Korea continues to approve, support, encourage and or allow dogs, cats or other animals to be tortured, slaughtered, abused for any purpose. We will not buy Korean products. We will NOT do business that support, have business deals with Korea. We will NOT visit Korea. These horrible acts against innocent animals & human trafficking Must Stop.